SM and MLS executed the study and wrote the manuscript. MY, AA, SU, AM and AAA designed the study and analyzed the data. AFB1, Detoxification, Growth parameters, Quails, Yeast. Mycotoxins are toxic metabolites of filamentous fungi, produced during improper storage of feed or feed ingredients (Rao et al., 2016; Rashid et al., 2017). Around quarter of the world’s food crops get affected every year (Shahzad et al., 2014). Out of 300 existing mycotoxins, aflatoxin (AF) is the only mycotoxin governed by the US Food and Drug Administration (Sun et al., 2015). These are produced by Aspergillus flavus and Aspergillus parasiticus, in various feed ingredients like groundnuts, corn, sorghum, rice, spices, nuts, and others (Filazi and Sireli, 2013). In 1969, the Food and Drug Administration set permissible level for AF at 20 ppb for animal feed (Tomovska et al., 2012). Among various AFs, aflatoxin B1 (AFB1) is the most prevalent and potent naturally occurring hepatocarcinogen for complex multi cellular living organisms (Pizzolitto et al., 2013). It causes immunosupression and is a highly toxic, mutagenic, teratogenic and carcinogenic compound (Pleadin et al., 2014). Pathogenic growth of fungus on growing crops and saprophytic growth on stored crops are the major causes of contamination (Hejri et al., 2013). Moreover, several crops reportedly have the ability to uptake AFB1 from contaminated soil (Hariprasad et al., 2015). Control of AFs is mandatory to avoid the problems caused by their contamination in food and feed commodities. Poor efficacy of existing physical and chemical strategies for the reduction of AFs, calls for the need of improvement in detoxification (Adebo et al., 2016). The most practiced method for detoxification is the addition of chemical adsorbents and liver tonics in feed which curtails AF adsorption in gastrointestinal tract (Verheecke et al., 2016; Naseer et al., 2016). Among several detoxification methods, not many fulfill FAO requirements (Grenier et al., 2014), therefore, researchers switched to biological methods, which alter the AFB1 structure, yielding other lesser toxic molecules (Verheecke et al., 2016). Ciegler et al. (1966) evaluated potential of various yeasts, fungi and algae to detoxify AFB1 (Verheecke et al., 2016). Among various biological detoxifying agents, commercially available products containing yeast cells are used in animal rations to facilitate toxin adsorption for improved productivity (Bovo et al., 2015). Due to increasing meat demand in developing countries, Japanese quail (Coturnix japonica) was introduced as competitive source of broiler meat to fulfill protein requirements of growing population (Ayyub et al., 2014). In Pakistan, quail meat is the second most consumed poultry meat after broiler meat; even then it is the neglected component in Pakistan (Jatoi et al., 2015). To date, no data exist on the biological detoxification of AFB1 in quails, fed with AFB1 contaminated feed despite of robust increase in quail farming in the country and prevalence of AFB1 in finished feed samples was reported as high as 91% (Rashid et al., 2012). So, this study was designed to address this public threat which, if not taken into consideration may cause massive health and economic disturbances in Pakistan. During this study, we evaluated the detoxification potential of Saccharomyces cerevisiae (SC) in quails reared in experimental conditions and fed with AFB1 added feed along with different levels of SC. This study was conducted at experimental sheds of Department of Pathology, University of Veterinary and Animal Sciences (UVAS), Lahore, Pakistan. 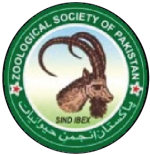 Abridgment of this experiment was planned, taking into account all the national legislation concerning protection of animal welfare and following the guidelines of the Advanced Studies and Research Board (ASRB), UVAS. Japanese quails (n=300) were procured from Avian Research and Training Centre, UVAS, Lahore, Pakistan and were kept in sterilized experimental sheds. Floor, drinkers and feeders were disinfected with Baloran. Clean water was offered ad libitum. SC was obtained from Department of Microbiology, UVAS, Lahore and was confirmed after cultural and biochemical analysis. The identification of the isolates was carried out according using conventional yeast identification methods according based on morphology, sporulation and fermentation characteristics (Voordeckers et al., 2012), as well as the assimilation of a range of carbon sources (Kreger-Van, 1984). For the identification of the various species within the Saccharomyces sensu stricto group, the isolates were tested for their ability to utilize mannitol and maltose as carbon sources, and to grow on a vitamin-free medium and on YEPG agar plates (1% yeast extract, 2% glucose, 1% peptone, 15% agar) at 37 ºC (Bovo et al., 2016). Isolates that grew at 37 ºC were identified as S. bayanus. Saccharomyces paradoxus was identified on the basis of growth on mannitol and maltose, while the isolates that did not grow on these sugars were recognized as SC. SC dried culture was mixed in 0.5 mg AFB1 added quail diet, at the levels of 0.5 gm, 1.0 gm and 2.0 gm/kg of feed (Parlat et al., 2001), while control group was offered basal diet. A total of 300 quail birds were divided into five groups (60 each), with four replicates each viz; A to E. Group A was fed basal diet without any toxin or SC, while group B was given AFB 1 (0.5 mg/kg) added in basal diet. Group C, D and E were offered AFB1 (0.5mg/kg) added basal diet with 0.5, 1 and 2 gm yeast/kg of feed, respectively. Composition of basal diet is as follow: crude protein, 23.5 g/100g; metabolizable energy, 0.011 MJ/kg; calcium, 0.980/100g; available phosphorus, 0.375/100g; arginine, 1.605/100g; lysine, 1.294/100g, methionine, 0.532/100g; methionine+cysteine, 0.900/100g; threonine, 0.940/100g, tryptophan, 303/100g; valine, 1.100/100g; sodium 0.160/100g; potassium, 0.930/100g; chloride, 0.252%; electrolytic balance, 236.43 mEq/kg. Each group was further divided in two subgroups, out of which one subgroup was vaccinated with NDV vaccine, while other group was not vaccinated with NDV vaccine. Quails were observed for next 6 weeks to evaluate post math of performance parameters (body weight gain, feed intake and feed conversion ratio), blood profile (Hb, PCV, TLC, ESR) and humoral immune response (mean antibody titre). Data regarding growth performance parameters, hematology and immunology were recorded in Microsoft Excel 2010 and were exported to Statistical Product and Service Solutions (SPSS) version 20.0. Values of the recorded parameters were compared statistically with the control Group A using Duncan test. Results of growth performance parameters (body weight gain, feed intake and feed conversion ratio) are shown in table I. Results showed that body weight gain during first week in group B (0.5mg/kg AFB1), C (0.5mg/kg AFB1 + 0.5g yeast/kg feed), D (0.5mg/kg AFB1 + 1g yeast/kg feed) and E (0.5mg/kg AFB1 + 2g yeast/kg feed) were non-significantly different (P<0.05) from control group (group A). During second week, group B (0.5mg/kg AFB1) and C (0.5mg/kg AFB1 + 0.5g yeast/kg feed) had significantly higher weight gain (P<0.05) than control group A, whereas groups D (0.5mg/kg AFB1 + 1g yeast/kg feed) and E (0.5mg/kg AFB1 + 2g yeast/kg feed) showed no significant difference (P>0.05) when compared to control group. The statistically analyzed results of body weight gain during third, fourth, fifth and sixth weeks showed the same pattern (Fig. 1). The feed intake of control group during second week did not show significant difference (P>0.05) as compared to other experimental groups. During second week, feed intake of group E (0.5mg AFB1/kg feed + 2g yeast/kg feed) was significantly higher (P<0.05) than the control group (basal diet) and group D (0.5mg/kg AFB1 + 1g yeast/kg feed) while, group B (0.5mg/kg AFB1) and C (0.5mg/kg AFB1 + 0.5g yeast/kg feed) showed significant reduction (P<0.05) when compared to control group. Statistically same trend was recorded in following weeks till the end of 6th week (Fig. 1). During first week, feed conversion ratio of group B (0.5mg/kg AFB1), C (0.5mg/kg AFB1 + 0.5g yeast/kg feed), D (0.5mg/kg AFB1 + 1g yeast/kg feed) and E (0.5mg/kg AFB1 + 2g yeast/kg feed) had no significant difference (P>0.05) from control group, while, groups B (0.5mg/kg AFB1) and C (0.5mg/kg AFB1 + 0.5g yeast/kg feed) had significantly higher (P<0.05) FCR as compared to control group. The FCR of groups D (0.5mg/kg AFB1 + 1g yeast/kg feed) and E (0.5mg/kg AFB1 + 2g yeast/kg feed) were non-significantly higher (P>0.05) than control group A (basal diet) The statistical results of FCR during rest of the study period till 6th week showed identical pattern as during second week (Fig. 1). These results showed that addition of 1g or 2g of yeast per kilogram of feed significantly reduced (P<0.05) the deleterious effects of AFB1 in feed and improves feed intake, weight gain and FCR. Result of Hb contents of control group and treated groups had no significant difference (P>0.05) during the first week. While, during second week, Hb content of group B (0.5mg/kg AFB1) was significantly different (P<0.05) from that of control group and other treated groups. During third week, the Hb. content of groups B (0.5mg/kg AFB1) and C (0.5mg/kg AFB1 + 0.5g yeast/kg feed) were significantly different (P<0.05) from control group and other treated groups. Same pattern was observed during following fourth, fifth and sixth weeks (Fig. 2). Results showed no significant difference (P>0.05) in PCV among all the experimental groups during first week, whereas, the PCV of group B (0.5mg/kg AFB1) was significantly higher (P<0.05) from the control group and other treated groups during second week. During third week, the groups B (0.5mg/kg AFB1) and C (0.5mg/kg AFB1 + 0.5g yeast/kg feed) had significantly lower (P<0.05) values as compared to control group. Similar results were observed during fourth, fifth and sixth weeks of study (Fig. 2). Likewise PCV, mean TLC was statistically indifferent (P>0.05) among experimental groups during first week while, in second week, the TLC of groups B (0.5mg/kg AFB1) and C (0.5mg/kg AFB1 + 0.5g yeast/kg feed) were significantly lower (P<0.05) than the control group. Similar results were recorded during third, fourth, fifth and sixth weeks. Erythrocyte Sedimentation rate (ESR) during first week was statistically different (P<0.05) among control and treated groups. While, in second week, the ESR of group B (0.5mg/kg AFB1) and group C (0.5mg/kg AFB1 + 0.5g yeast/kg feed) were significantly higher (P<0.05) as compared to control group, groups D (0.5mg/kg AFB1 + 1g yeast/kg feed) and E (0.5mg/kg AFB1 + 2g yeast/kg feed). Similar results were found in all experimental groups from third to sixth week (Fig. 2). During 1st week, the mean antibody titer of all experimental groups had no significant difference (P>0.05). During 2nd week, the mean antibody titer of groups B (0.5mg/kg AFB1) and C (0.5mg/kg AFB1 + 0.5g yeast/kg feed) were significantly lower (P<0.05) than the control group. Similar results were found during following weeks until 5th week (Fig. 3). Decontamination of feed and feed stuffs remains a serious problem and demands special attention to devise effective decontamination methods. Procedures used to address this problem focus on detoxification either by degrading, destroying, inactivating or removing AF by physical (heat, irradiation), chemical (ammoniation, sulphites, hypochlorides, ozone), nutritional (vitamins, minerals) or biological (bacteria, yeast) methods (Ramirez et al., 2010). A successful detoxification process must be economically capable of eliminating all traces of a toxin without having harmful residues and must not impair the nutritional quality of the commodity (Kubena et al., 1998). Biological methods of decontamination attract more attention than rest of the physical and chemical methods because of being economical, eco-friendly and safe (Verheecke et al., 2016). In the current study, Saccharomyces cerevisiae was added into the AFB1 added feed which significantly reduced the deleterious effects of AFB1 in quails. Earlier, SC was reportedly reduced the detrimental effects of AFB1 on growth parameters of broiler birds, which are in line with the findings of this study (Pizzolitto et al., 2013). Bovo et al. (2015) reported 45.5 to 69.4% binding of AFB1 using products containing yeast cell wall. This can be explained as D-glucans in the cell wall of yeast is responsible for complexation with the AFB1, and the reticular organization of D-glucans and their distribution among (1,3) and (1,6) D-glucans plays key role in detoxification. In addition, weak hydrogen bonds and Vander Waals forces are involved in the complex formation between mycotoxins and D-glucans, leading to interaction of adsorption rather than contact. Aromatic ring and the lactone and ketone groups of the polar form of AFB1 interact to aid in binding of AFB1 with glucans (Jouany et al., 2005). During an in-vitro study, yeast was reported to bind 21% of AFB1, which may be instrumental in bringing all the growth performance parameters back to normal when compared to control group (Cassan et al., 2011), exactly like the observation of this study. Liver is the target organ affected by high doses of AF, causing hepatoclluler necrosis as it leads to liver enlargement in chronic cases (Sun et al., 2015). These findings are in agreement with the present study in which 2gm of yeast/kg feed effectively ameliorate the deleterious effects of the AFB1. Infiltrations of lymphocytes, mild fibrosis and proliferation of bile ducts in the portal areas were the hepatic lesions observed. The addition of yeast lessened the effects caused by AFB1, bringing lesion scores to the point where there was no difference was found between treated and untreated groups, as reported by Bovo et al. (2015). The esterified glucomannan (EGM) and mannan oligosaccharide (MOS) in yeast cell wall have been considered responsible for the binding of AFB1 (Jalili, 2015). Basmacioglu et al. (2005) found that esterified glucomanan (EG) showed high binding ability (80-97%) with AF and so has been used for detoxification of AF in poultry. Similar findings were observed in the present study, when yeast was added in quail diets containing AFB1. The aflatoxin protective effect of live yeast was confirmed in rats, but thermolysed yeast was shown ineffective (Babtista et al., 2002). Additions of esterified glucomannan at 0.5 or 1.0 g/kg to diets supplying 2 mg of AF resulted in dose dependent responses in broiler chicks (Basmacioglu et al., 2005). Similar component was reported to be responsible for the AFB1 decontamination in fish feed (Selim et al., 2014). A glucan polymer product has protected broilers (Swamy et al., 2004) and layers (Chowdhury and Smith, 2004) against some of the detrimental effects of multiple mycotoxins, but without restoring growth rate. All these evidences buttress the fact that SC was successful in binding the AFB1 fed to experimental quails. This study provides the evidence for the use of SC to prevent the deleterious effects of AF in quails. 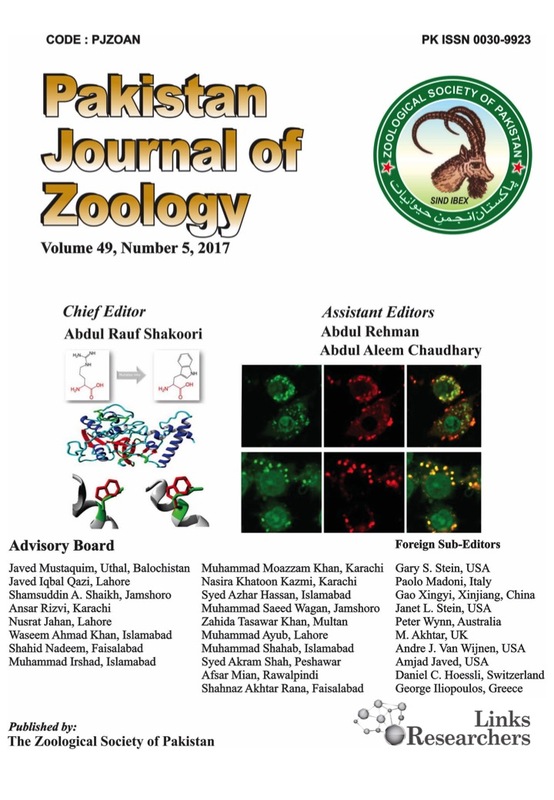 This study paves the road to future research endeavors regarding AFB1 toxicity in quails which is competitive source of protein when compared to broiler birds in Pakistan and other populous developing countries in this part of the globe. I am very thankful to Prof. Dr. Muhammad Akram (late) and his team providing all possible research facilities at Avian and Research Training Center (ARTC), University of Veterinary and Animal Sciences Lahore (54000), Pakistan. Adebo, O.A., Njobeh, P.B. and Mavumengwana, V., 2016. Degradation and detoxification of AFB1 by Staphylocococcus warneri, Sporosarcina sp. and Lysini bacillus fusiformis. Fd. Contr., 68: 92-96. Ayyub, R.M., Mushtaq, M.H., Bilal, M. and Akram, M.R., 2014. A study of consumer behavior regarding quail meat product development and marketing. Sci. Int. (Lahore), 26: 871-874. Basmacioglu, H., Oguz, H., Ergul, M., Col, R. and Birdane, Y.O., 2005. Effect of dietary esterified glucomannan on performance, serum biochemistry and haematology in broilers exposed to aflatoxin. Czech. J. Anim. Sci., 50: 31-39. Bovo, F., Franco, L.T., Rosim, R.E., Barbalho, R. and Oliveira, C.A.F., 2015. In vitro ability of beer fermentation residue and yeast-based products to bind aflatoxin B1. Brazil. J. Microbiol., 46: 577-581. Cassan, J., Tozlovanu, C., Medjdoub, M.H., Ballet, K. and Leszkowicz, N.P., 2011. Binding of Zearalenone, Aflatoxin B1, and Ochratoxin A by yeast-based products: a method for quantification of adsorption performance. J. Fd. Prot., 7: 1048-1211. Ciegler, A., Lillehoj, E.B., Peterson, R.E. and Hall, H.H., 1966. Microbial detoxification of aflatoxin. Appl. Microbiol., 14: 934-939. Grenier, B., Bracarense, L., Leslie, J.F. and Oswald, I.P., 2014. Physical and chemical methods for mycotoxin decontamination in maize mycotoxin reduction in grain chains. John Wiley & Sons, Ltd, Chichester, UK. Jalili, M., 2015. A review on aflatoxins reduction in food. Iranian. J. Hlth. Safe. Environ., 3: 445-459. Jatoi, A.S., Sahota, A.W., Akram, M., Javed, K., Jaspal, M.H., Mehmood, S., Hussain, J., Ishaq, H.M. and Bughio, E., 2015. Egg quality characteristics as influenced by different body sizes in four close-bred flocks of Japanese quails (Coturnixcoturnix japonica). J. Anim. Pl. Sci., 25: 912-926. Jouany, J.P., Yiannikouris, A. and Bertin, G., 2005. The chemical bonds between mycotoxins and cell wall components of Saccharomyces cerevisiae have been identified. Arch. Zootec., 8: 26-50. Kreger-Van, R.I.J., 1984. The yeast: a taxonomic study. Elsevier Science Publishers, Amsterdam, Netherlands. Parlat, S.S. and Oguz, H., 2001. Biological suppression of aflatoxicosis in Japanese quail (Coturnix coturnix japonica) by dietary addition of yeast (Saccharomyces cerevisiae). Res. Vet. Sci., 71: 207-211. Pleadin, J., Vuli, A., Persi, N., Skrivanko, M., Capek, B. and Cvetni, Z., 2014. Aflatoxin B1 occurrence in maize sampled from Croatian farms and feed factories during 2013. Fd. Contr., 40: 286-291. Rao, K.R., Vipin, A.V., Hariprasad, P.I., Appaiah, K.A.A. and Venkateswaran, G., 2016. Biological detoxification of Aflatoxin B1 by Bacillus licheniformis CFR1. Fd. Contr., 71: 234-241. Rashid, N., Bajwa, M.A., Rafeeq, M., Khan, M.A., Ahmad, Z., Tariq, M.M., Wadood, A. and Abbas, F., 2012. Prevalence of aflatoxin B1 in finished commercial broiler feed from West Central Pakistan. J. Anim. Pl. Sci., 22: 6-10. Shahzad, M., Khan, M.U.R., Aslam, A., Younus, M., Khan, H.M., Anjum, A.A. and Masood, S., 2014. Dimunition of Ochratoxina and Aflatoxin B1 toxicity on hematology and serum biochemistry of Japanese quail (Coturnix japonica). J. Anim. Pl. Sci., 24: 1032-1038. Tomovska, J., Stefanovska, V., Hristova, V.K. and Georgievski, N., 2012. Examination of aflatoxins B1 and G1 in feed. Maced. J. Anim. Sci., 2: 397-404.